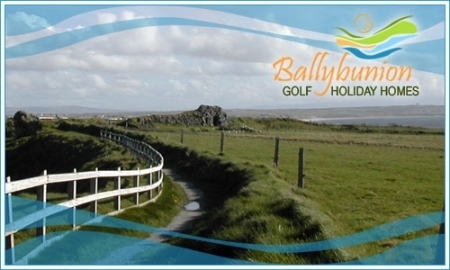 Ballybunion Golf Holiday Homes are a boutique style development consisting of 12, 3 bedroomed holiday vacation rental homes set in a gated rural complex yet only 1 km from the world famous Ballybunion Golf Club and 2 km from the vibrant bustling seaside town of Ballybunion. 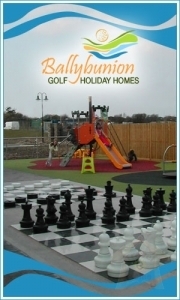 Ballybunion Golf Holiday Homes are architecturally designed and fully 4 star approved by Failte Ireland. Each house has one en-suite double bedroom and two twin bedrooms, one of which is situated at the ground floor. The kitchen / dining / living room area has an open plan style. The kitchen units are of a modern cream high gloss finish with granite worktops and all modern appliances. The living area is comfortably furnished with leather couches, flat screen TV and flame effect fireplace. There is an open void over the dining area giving an open/airy sense of space which leads onto the furnished patio area which is partially fenced off for privacy. 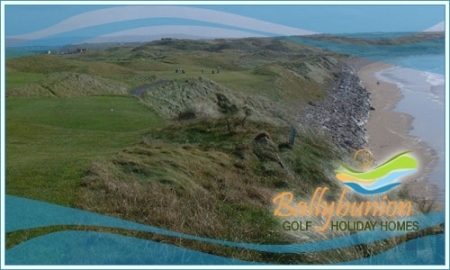 A non refundable booking deposit of €100 per house is required. Full payment of holiday home must be made no later than six weeks prior to rental. Upon receipt of the balance due, clients will receive arrival instructions. We advise clients to take out Travel Insurance to cover any costs associated with having to cancel a holiday. 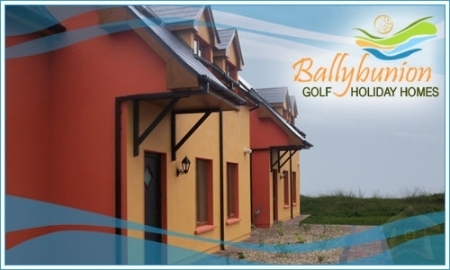 A fully refundable security deposit of €150 must be paid on arrival. The deposit will be refunded within 7 days of departure once the manager is satisfied that the terms and conditions of rental have been complied with.